“Racing Rocks w/ with Riki Rachtman” is heard every Sunday morning from 8-10 on 98.9 The Bear! It’s a two-hour weekly music-intensive program that provides you with news, exclusive insights, interviews and dedicated coverage from the world of NASCAR, primarily the Sprint Cup racing series. Riki is not only a serious NASCAR fan, but also a respected racing commentator and a highly recognizable rock radio and TV figure. 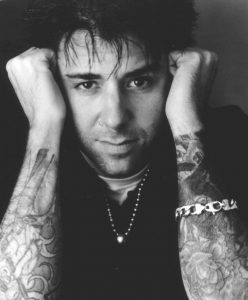 Rachtman has come a long way since his days as host of “Headbangers Ball” on MTV. Today he can be seen on Fox’s Speed Channel and other high-profile racing outlets including NASCAR.com.